In keeping with last week’s theme of “Sweet Things the Man Makes” . 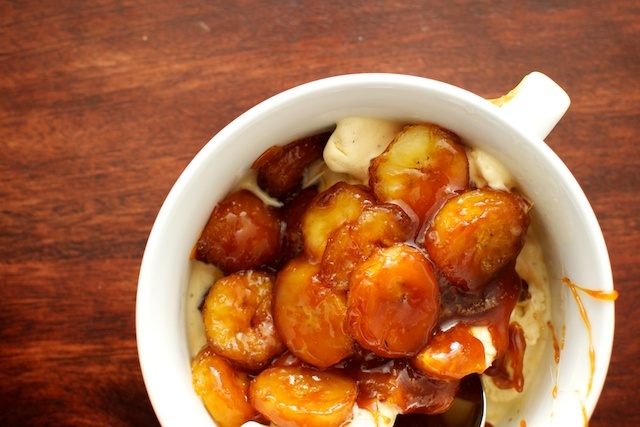 . . here’s our favorite weeknight dessert: Caramelized bananas over vanilla ice cream. A few simple steps: Melt about 2 tablespoons butter in a frying pan over medium heat. Stir in about 1/2 cup brown sugar and a pinch of salt, and stir together until sugar is completely melted. 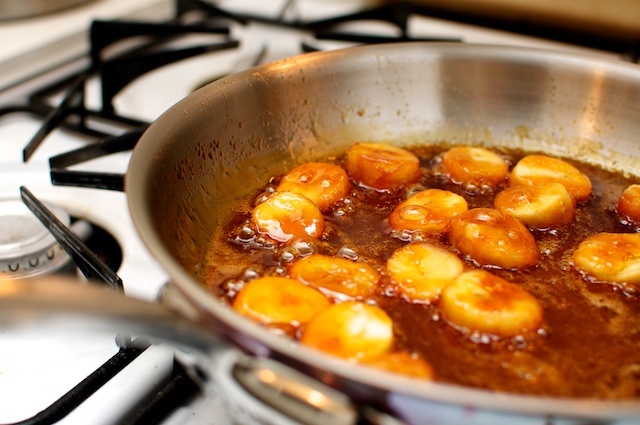 Toss in sliced bananas, and stir around in caramelized mixture until completely coated and slightly softened (about 1 minute.) Let cool for the time it takes you to scoop vanilla ice cream, and serve bananas on top.This also works well with peaches, apples or pears.